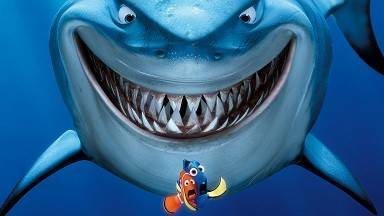 Cape Town Loan Sharks – Don’t Get Eaten! People who offer to lend money at exorbitant interest rates are known as loan sharks for a reason – if you are not careful, they can eat you and your wallet alive! They are not fussy about who borrows from them; you don’t need to have a good credit record or go through a strenuous form-filling process. Rather, loan sharks prey on the weak and desperate, offering quick cash with extremely high interest rates on payday loans, title loans and other such lending. They often resort to intimidation, blackmail, or even violence to retrieve the money (with interest!) that they have lent out, often blurring the boundaries of legal and illegal behaviour. Loan sharks are typically unreliable and untrustworthy so are best avoided if at all possible. If you desperately need cash fast, they offer payday loans that give you the equivalent of your salary in advance. Sounds like a quick fix, but they will expect you to pay back the amount loaned as well as a large sum of interest. It is estimated that there are around 300,000 illegal providers of credit in South Africa. These unscrupulous sharks may charge as high as 200% interest on debt, making it almost impossible form some borrowers to ever get out of debt as each paycheque pays off the last payday loan and interest. The National Credit Act is intended to protect the public from climbing into debt traps, but loan sharks and similar lending institutions often do not subscribe to the rules of the national Act. For example, lenders are not supposed to send out flyers advertising loans (which often do not outline all the terms and conditions)… but they do send out these advertisements regardless. These advertisements can look very appealing to uneducated or uninformed people who maybe strapped for cash and aren’t aware that the loans are often advertised as too good to be true. Advertising for loans can be found in a number of places, from SMSs to street advertising. The National Credit Regulator (NRC) recently reported that there has been significant growth in unsecured lending. In the second quarter of 2012, unsecured credit loaned out increased by 17.55% compared to the previous quarter. Of all South Africans with credit, 47% (9 million people!) are at least three months in arrears on the payments they owe, which means even more interest is due. These figures paint a dim picture of the situation many South Africans find themselves in. Read the terms and conditions of the loan and ensure that you read the fine print and know what will be involved and how much you will be expected to pay back. A good sign of a reliable lender is that they will require that you have a stable income before you are eligible for a payday loan or cash advance. They will also check that you have a valid bank account and may even check your credit record. If the lender you approach doesn’t require any kind of assurance and is quick to loan you money regardless, beware! This kind of lender is likely the Great White of loan sharks! Only borrow money from a registered credit provider. Make sure that your lending institution carried this stamp of approval. Only borrow from loan sharks as a last resort. If at all possible, look first to friends and family. You can include interest when paying them back, but it won’t be anywhere near in the region of what you would be charged by a loan shark. Approach your bank to see what they offer in terms of personal loans, take money from your bond, or even see if you can ask your employer for a salary advance. Only turn to a loan shark when all options have been exhausted.